A strong field will take part in the Bet365 Handicap this Saturday, with several horses in with a real opportunity of taking the honours. Run over one mile and four furlongs, the Doncaster turf hosts some of an interesting group of horses aged four years and up. With the going expected to be good, a quick race pace will be maintained throughout the race. Leading the favourites at this stage is Duke Of Firenze, with Jack Dexter and Move In Time Close behind. 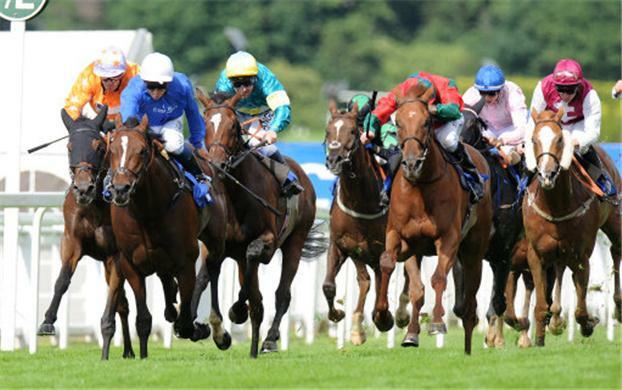 The best place to have a bet on the 2013 Bet365 Handicap is with Bet365.com. The odds below were taken from the site, and you will be able to find the latest race odds there as well. Bet365.com is each-way betting on the race, with which you will be paid out at 1/4 if your selection finishes in positions one to four. Betting on Duke Of Firenze has been fairly consistent this week, as it has seen his price dropping marginally from 6s to 5s. Duke Of Firenze showed mixed form in sprint races last year, with a close run defeat at Newmarket being his best run. But it is expected that the best is yet to come from Duke Of Firenze, who it must be noted, has still only run seven races, and has shown at least something on each occasion. The four year old, trained by Sir Michael Stoute, is expected to come up with the goods this season, and a strong showing in this race will go a long way to increasing that confidence. Jack Dexter competed against a few horses in this week’s line up recently, beating Our Jonathan and Hitchens in a Listed event, and is expected to be at his best for this race. Trainer Jim Goldie is hoping that his talent can bring him through, as it has done consistently in the past. Jack Dexter, who was unraced as a juvenile, had a fine year as a three year old, winning in five of eleven starts. His last win came at the Cammidge Trophy last month, which was also run at Doncaster and was also run over the mile and four furlong distance. Prodigality looked good as he returned to action at Warwick earlier this month, but the Ron Harris trained horse is now significantly higher in the weights. In Harris’ own words, “He’s been put up 7lb for his Warwick win and we could have done with a couple less as then he’d still have been able to run in 0-100s, which would have been nice. He beat a 99-rated horse and whether he’s run to 99 we’ll never know. He did it well enough and I’m sure he’ll have come on for the run. It’s a big pot on Saturday so we’d be mad to miss it. Completing the top of the bookies’ market is Move In Time. The gelding, who at 8/1 is the only leading contender not to have seen his price drop during the course of the week, showed well at Musselburgh last month. Trainer David O’Meara declared himself pleased with that run, though he remains unsure as to what the horse’s best distance might be. A strong showing at Doncaster on Saturday and O’Meara may well have his answer. As mentioned above, the best place to have a bet on the Bet365 Handicap is with Bet365.com. As the title sponsor for the race, they will be offering the best odds on the race, right up until the start of the race. When visiting Bet365.com, click on ‘Horse Racing’ in the left sidebar and scroll down to the Antepost section of the page, where you will find the markets for this race and many more.